Diabetes exaggerates oral health problems & oral health problems exaggerates diabetes. Dental problems make diabetes difficult to control. Pregnancy and birth – Women with gum disease are at higher risk of delivering pre-term low birth weight babies. Osteoporosis – Osteoporosis is a risk factor for oral health. If you have osteoporosis, it is VERY IMPORTANT that you speak with your dentist about the treatment you are receiving for osteoporosis. Fosamax, which is used to treat osteoporosis, has been reported to have side effects, such as jaw necrosis, which can lead to serious dental problems and complications. Make sure your dental professional is aware if you are taking Fosamax. Clean in between teeth daily (floss or use an interdental cleaner). Have a dental exam and cleaning regularly. The ADA website also encourages the use of mouth rinses and toothpastes that are anti-microbial as well as fluoride mouth rinses, with a recommendation that children under the age of six should not use fluoride containing products, as they might swallow the rinse. So why is oral health important? 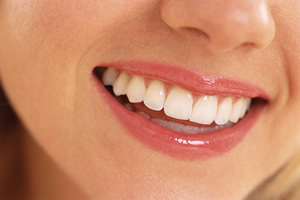 What is oral health? 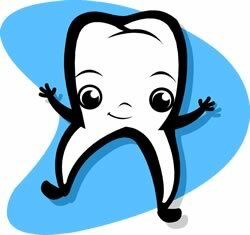 What causes tooth decay? How do we prevent tooth decay? A healthy mouth does not suffer gingivitis, an inflammation of the gums that can be caused by a build-up of plaque bacterial by-products. If you have gingivitis, your gums become red, swollen and easily bleed. You want to avoid a condition called periodontitis, which occurs when the gums start to separate from the teeth – forming pockets of pus. If you have periodontitis, you can have bone loss, which in turn can cause your teeth to become loose and either fall out or need to be extracted. Cavities are usually the first sign that something is wrong with your oral care regimen. Cavities are formed by acid which is produced when bacteria combines with the sugar in our food and drink. OK, so we understand the importance of maintaining healthy teeth, right? Keep your teeth and mouth clean – Brush your teeth twice a day (any toothpaste is fine as long as you don’t have any problems). Floss or use an irrigator every day. Use a tongue scraper, which helps reduce cavities by eliminating bacteria from your mouth and prevents bad breath. What foods are recommended for healthy teeth & gums? Fortify teeth (calcium – from dairy, beans, nuts, or peas & phosphorous – from dairy, fish, nuts; Recaldent™, which is an ingredient derived from casein whose technical name is casein phosphopeptides-amorphous calcium phosphate, or CPP-ACP. It works to strengthen teeth by delivering calcium and phosphate in a unique soluble form to help remineralize the enamel). Avoid sticky candies and dried fruits, hard candies and lozenges, high sugar sodas and regular consumption of sugared coffee or tea. Drink lots of pure, clean water!!!!! Nourish yourself!!! WHENEVER POSSIBLE, FOLLOW AN INTEGRATIVE APPROACH TO DENTISTRY! X-RAYS – While X-RAYS are necessary to see in between the teeth and facilitate early intervention, use them wisely and choose digital X-rays, which emit 90% less radiation, whenever possible. If the digital X-Rays are unavailable, please ask your dentist about the availability of additional shields (besides the common aprons) that they have available for your use (thyroid or scrotum shields). ROOT CANALS – Root canals are needed when bacteria enters the tooth and infect the bone. The bacterial infection needs to be removed mechanically. However, sometimes, some infection remains which could cause problems elsewhere in the body later on. DENTAL IMPLANTS – The Food and Drug Administration’s recent approval of zirconia implants provides additional options for the use of implants. FLUORIDE – This is a very controversial topic. My personal opinion is that fluoride in our drinking water and in our oral care products causes more harm than provides benefits. Fluoride is a toxic industrial waste product. The fluoride that is added to the drinking water is not pharmaceutical grade (I have personally witnessed this). If you read the label on any fluoridated toothpaste, you will see a warning that you should call poison control if the toothpaste is ingested. Here’s a link to an interview that was conducted with Dr. Bill Osmunson, an experienced dentist with a Masters of Public Health in Nutrition. I trust his credentials and I believe what he has to say. You be the judge. Mercury fillings – According to the FDA website, Dental amalgam contains elemental mercury. It releases low levels of mercury vapor that can be inhaled. High levels of mercury vapor exposure are associated with adverse effects in the brain and the kidneys. If you have mercury filings, please consult with an integrative dentist. I would not recommend removal of the mercury fillings until you have also consulted with a physician that has been trained in functional medicine, as the detoxification pathways should be clear before the mercury fillings are removed. Here’s a video of mercury vapors coming off a 25 year old silver amalgam filling. As always, I urge you to do the research. Ask questions. Don’t settle for the status quo.